I have always got big expectations of the Christmas crafting I want to achieve. For me there is always a long list of stuff I want to do - and ultimately this does not happen due to life being busy. But one thing I do try make time for on my list is sitting down and getting creative with the boys. There is so much fun stuff and ideas out there that is simple and quick to do with them. Taking 20 minutes out of my day to sit and colour or stick or decorate something - that is special. An important part of Christmas for me is not the presents or the food or anything like that. Its using the time to make memories with my boys. Happy Christmas memories - like the ones I had growing up. To help aid my Christmas memory making task the Baker Ross team sent this fantastic bundles of self contained kits for us to play with. 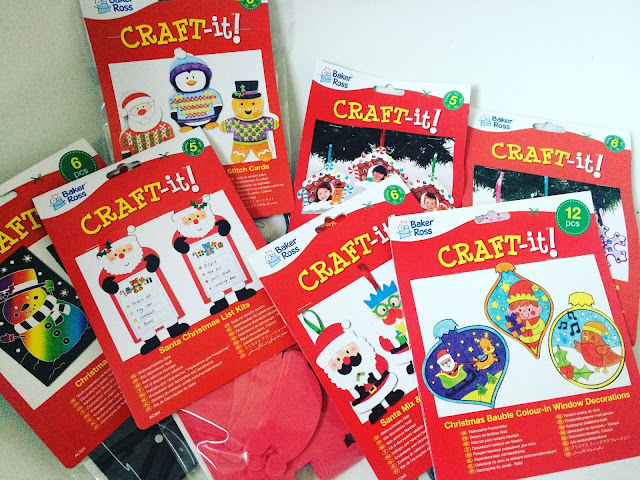 We have a selection of fun stuff from coloring sets to more involved activities like the cross stitch jumper cards. The sewing card kits are so cute. There are 6 cards in totals with festive character rocking a Classic Christmas jumper. The cards are pre punched with holes to allow little fingers to stitch in the pattern with some threads. Maxwell was keen to get a start on this as he has been wanting to learn to cross stitch as he watches me with my hobbies. Looking at our table makes me happy. I set up a box with all the goodies in - long with some pens and pencils. 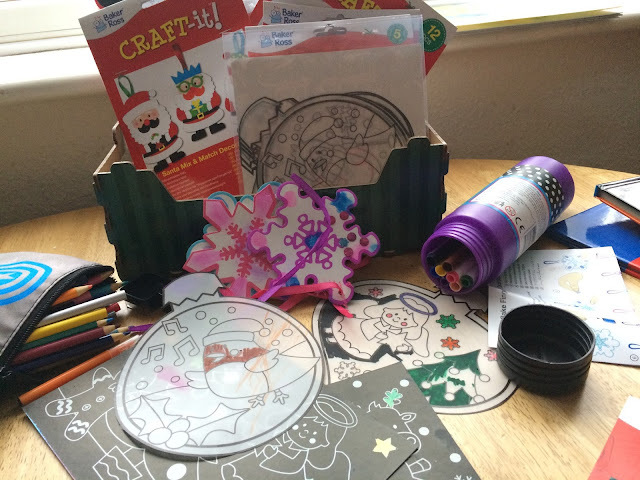 The kids dip in and out of the box and Christmas creations are appearing as each day passes. I like leaving a station like this easily accessible to the boys - to encourage them to be curious and want to create without it feeling like a forced activities. Check out the Baker Ross Christmas shop and pick up some bargainous Festive fun!! Theres lots to pick from - even some kits to make some handmade gifts at home with the kids. 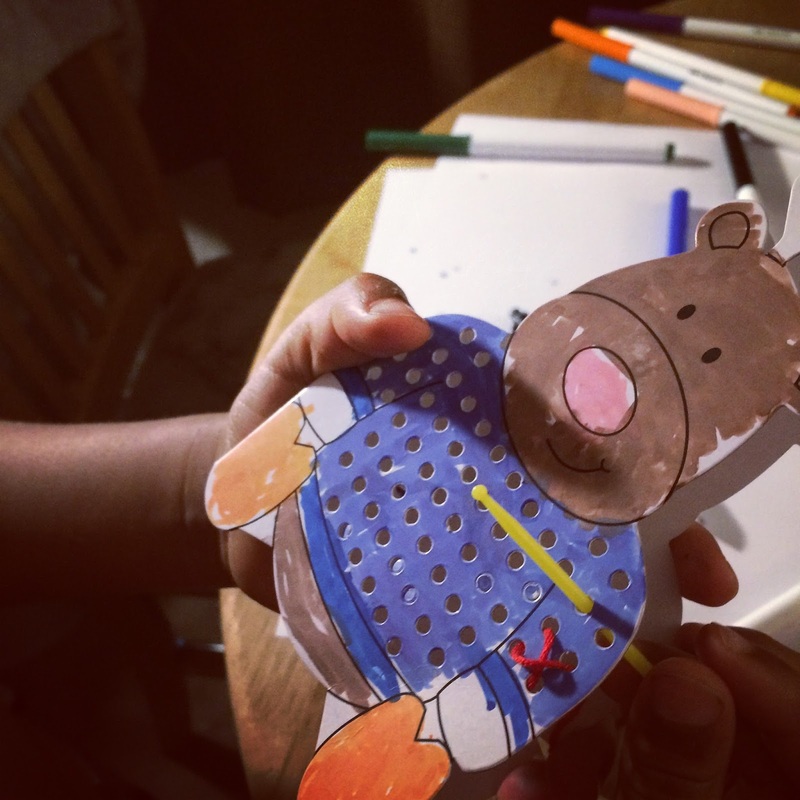 Do you have any plans for some festive crafting with the kids? Still on my list includes Christmas card making, cookie baking and maybe just maybe another attempt at a gingerbread house! !